The Holy Land between the Jordan River and the Mediterranean Sea contains some of the most sacred spaces for Muslims, Jews, and Christians alike. Jerusalem is the holiest site in Judaism, the home of Jewish patriarchs and prophets since the 10th century BCE. On the same land, Muhammad both received revelation and ascended into heaven at the Dome of the Rock. For Christians, it is the birthplace of Jesus and the site of his crucifixion and ascension into heaven. The Christian population in this area has long thrived among its Jewish and Muslim neighbors. However, the increasingly destructive Israeli occupation, endorsed by the current U.S. administration, has made the area essentially uninhabitable. The result is a noticeable exodus of Christians from this territory. Before 1948, Palestinian Christians made up about 18 percent of the region’s population. Today they make up less than one percent. If the current trend persists, pilgrims and tourists will likely be the only Christian representatives in the region in years to come. 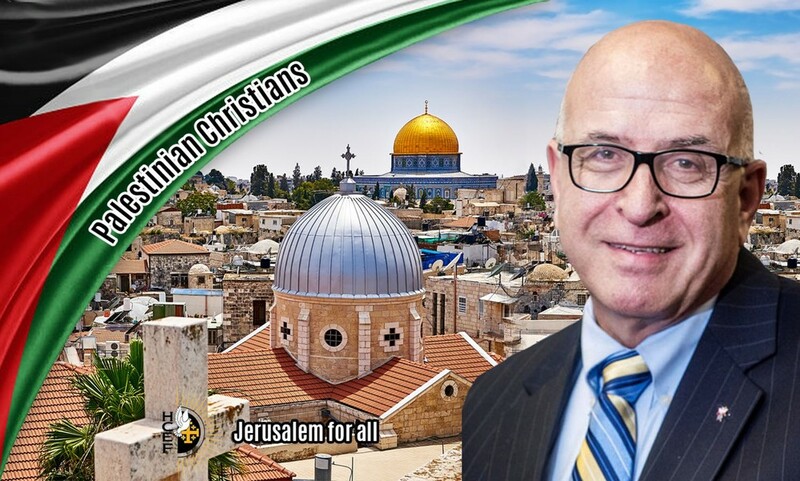 Christian Zionist media, including the Christian Friends of Israel, presents the Palestinian Christian population as a recently-formed community of Arab migrants. In reality, Palestinian Christians are some of the most deeply-connected members of the faith, tracing their ancestry in the region back to Biblical times. Pro-Israel sources report that the exodus of Palestinian Christians is caused by two factors. Firstly, they suggest that many Christians convert and intermarry with Muslims as a result of declining Christian birthrates. Secondly, they argue that Palestinian migration is part of a larger, historical exodus of Christians from the Holy Land. They believe that migration dates back to the Ottoman Empire when Christians sought jobs in North and Latin America. This exodus is largely blamed on Islamic Fundamentalism and the discord between Islam and Christianity. After the 2003 Iraq War, one theory posits, destabilization allowed extremist groups to gain power. The violence of ISIS in the region is frequently cited as evidence of this religious discord. Some reference the ancient dhimmi system as evidence of discrimination within the Muslim faith. This historical distinction, meaning “protection” or “protected person,” was used to distinguish and ensure the legal rights of non-Muslims living in an Islamic state. Its use today, however, is an outdated scapegoat for the real cause of the exodus. While the claims of the religious-discord argument are not entirely false, the larger flaw of this position is its problematic revisionist narrative that erases the struggles of Palestinian people. The exodus of Christians actually betrays the oppressive ethnic cleansing inflicted upon the people of Palestine by the Israeli government. As the U.S. continues to extend a hand to the Israeli regime, Palestinians are increasingly more opposed to the U.S. than to their Muslim neighbors. 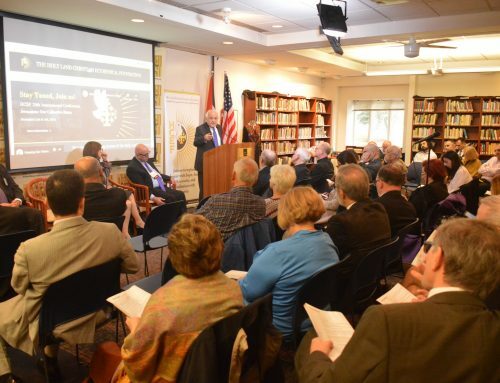 Arab America interviewed with Rateb Rabie, founder, and president of the Holy Land Christian Ecumenical Foundation (HCEF), he revealed the real reasons of the exodus, as well as his own predictions for future peace in the region. 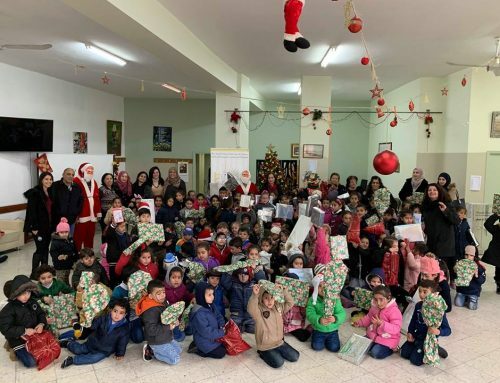 While some point to the religious tension between Muslims and Christians, most Palestinian Christians report that it is Israeli oppression that pushes them from their native land. Rabie cites discrimination against Palestinians as the primary cause of the exodus. A 2017 study by the Dar al-Kalima University in the West Bank has found that “the pressure of Israeli occupation, ongoing constraints, discriminatory policies, arbitrary arrests, confiscation of lands” has contributed to “the general sense of hopelessness among Palestinian Christians.” Only a two percent minority of Palestinian Christians cite Muslim violence and extremism as the reason for their departure. While it is true that Christians face persecution and are not guaranteed the same rights as their Muslim counterparts, at its heart the conflict is political, not religious. It is a “landed conflict,” Rabie says, stemming from the Israeli occupation of Palestinian territories. “We are Palestinian first before we are Christian,” Rabie states. The conflict (and subsequent exodus) is a question of identity and ownership above religious belief. Aside from their minority status, the relative ease with which the Christian population is able to assimilate into the culture of Western host countries also accounts for their particular population decrease. Rabie suggests that “Muslims would leave if possible,” or if the process of cultural assimilation was less draining and demeaning. The discrimination and Islamophobia that many Muslims face is a major deterrent to immigration. Because of their shared faith, Western societies are more accepting of Palestinian Christians than Palestinian Muslims. While the population of historical Palestinian (including Gaza, the West Bank, and Israel) today has increased to six million, Christians make up less than 1.7 percent. The majority of Palestinian Christians are Greek Orthodox. Christianity itself began in Jerusalem, and the Palestinians living there were the original followers of Jesus. As Rateb Rabie says, Palestinians have been “saving the face” of the Christain faith for over 2,000 years. In spite of oppression and discrimination, they have nobly upheld their practice and traditions. Today, the plight of Palestinians is intertwined with Islamophobia. Western Christian organizations are eager to offer charitable support, especially when their donation is inspired by a deep-seated Islamophobia that encourages them to selectively help Christian populations in Muslim-majority countries. Other Christians in countries like Syria, Rabie points out, avoid getting directly involved to distance themselves from the Islamophobia of Western Christian donors. Physical barriers and other limitations prevent a complete celebration of faith. In addition, non-Christian settlers in Israel take out their anger toward the Israeli government on the Palestinian population. These attacks often involve the desecration and vandalism of Christian and Muslim holy sites and the targeting of religious leaders. Denied access to ancient holy sites, Palestinian Christians struggle to prove that their “center of life” rests in Jerusalem. Without this confirmation, they are liable to have their residency rights and social benefits revoked. While the illegally-housed Jewish population has the right to move freely throughout the region, native Christian Palestinians are bombarded by arbitrary borders and restrictive permits. It is very difficult for Palestinians to find jobs under the occupation. There is currently a 22 percent unemployment rate in the region, and many families struggle to support themselves financially. Furthermore, the Israeli government protects Jewish extremists in their brutal, physically violent attacks on Palestinian Christians. In March of this year, Israeli forces carried out attacks on Christian worshippers during a Palm Sunday procession in Jerusalem. Bombs, guns, and knives have all been used against Palestinians, who may also be subject to arbitrary arrests. Extremists burn farmland and destroy crops, making livelihood and sustenance impossible. These attacks on Christian territory, as on the entire Palestinian population, are justified using religion. Zionists claim that the Jewish people have an inherent religious connection to the land. This is a complete oversight of the religious ties of both Christians and Muslims. The brutality of the attacks contrast the sanctity and divinity of a religious appeal, and many wonder how faith can be used to so blatantly defend massacre. Even in tourism, an economic staple in the region, the narrative and perception of Palestinians, and Palestinian Christians is highly distortedby Israeli tour guides. This false, damaging narrative reached nearly 3.5 million tourists in 2013. 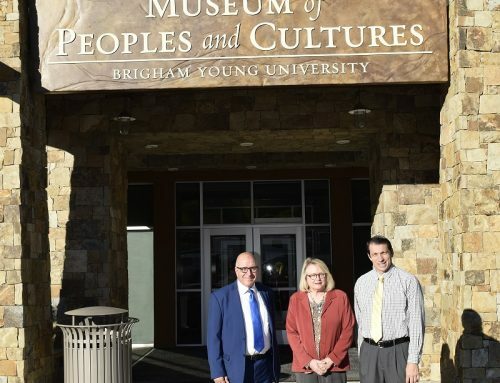 Christians taken to the Holy Land on educational tours are given a skewed version of the region’s history, one in which the role of Christianity is highly downplayed, if not entirely neglected. Palestinians are painted in a very negative light, and their persecution is glossed over entirely. In an interview with Vox, American politics professor Elizabeth Oldmixon explains the American Christian Evangelical support of Israel. Evangelicals see the “gathering of Jews in exile” in the Holy Land as an indication of the highly awaited “end of times,” or Christ’s reign on Earth. As strict followers of the Bible, Christian Zionists strictly abide by the passage in which God grants the Holy Land to the Jewish people. Religious faith translates directly into political belief. Fifty-three percent of Trump’s evangelical demographic supported the Jerusalem move. Palestinian Christian is not evangelical, so they do not possess the same religious vision. Israeli control, coupled with Mike Pence’s faith-based declaration of American support, has wreaked havoc on the Palestinian population and ostracized their faith. Understandably, Palestinians are broadly opposed to the current administration. With America’s damaging influence exacted through the Israeli government, many have chosen to flee their native land altogether, escaping oppression both locally and from the West. Pence had originally planned a pilgrimage to the Holy Lands, including meetings with many regional Christian leaders, but travel plans were canceled following uproar and protest about the Jerusalem move. Many church leaders felt the move would increase hatred and violence in the region. Although the protests were more muted than expected, the oppression continues for the Palestinian population. In spite of the exodus and the immense suffering of the Palestinian people, Rabie is encouraged by the dramatic increase in media coverage of the conflict in the past 30 years. 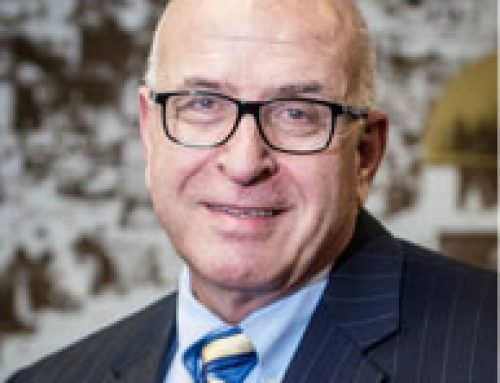 He sees the increased exposure of the human rights violations as indicative of the “beginning of the end of Zionist Israel.” The public has come a long way in terms of its perception of Israel and support for Palestine, thanks to organizations like Rabie’s. 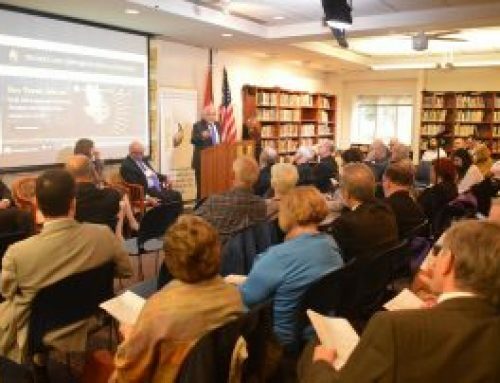 He says that Palestinians at home and abroad are hopeful for peace, but he emphasizes the need for continued education of American Christians on the severity of the conflict. He recognizes that, even within Israel, much of the Jewish population and social media influencers are pro-peace. These incentives for peace, he argues, must be implemented. Above all, Palestinians need justice. American Christians must commit themselves to this cause. Rabie discourages them from picking a side-Palestinian or Israeli. Instead, he encourages Christians, Americans, and global activists to focus their energies and intentions on delivering justice where it is most needed to the long-suffering people of Palestine. Perhaps then their land will become a home once more. Many thanks to Sir Rateb Y. Rabie for his valuable contribution to this article, and his work to raise awareness for the concerns of Palestinians, both in the U.S. and abroad.